During the winter, it is absolutely essential for your property to have a reliable and efficient source of warmth and comfort. If you have a boiler heating system in your home or business, you have an obligation to keep it well maintained. At Precision HVAC, our heating contractors are here to help you with this responsibility. We have the knowledge, skill, and experience necessary to provide for all your routine maintenance and emergency repair needs. If the boiler in your Saugerties home or business is inefficient, malfunctioning, or inoperable, call Precision HVAC today. Our polite, professional, and dedicated staff is ready and eager to assist you with these issues. Our experts would be excited to answer any questions that you may have about your boiler repair needs or our amazing skills and services. We can schedule your appointment today. Our Saugerties heating contractors believe that it is far better to conduct preventative maintenance before major heating problems occur. 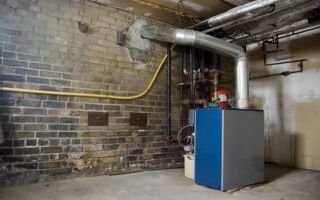 More often than not, serious boiler breakdowns could have been prevented had the homeowner taken the time to hire a professional to conduct an inspection. At Precision HVAC, our boiler repair technicians would be honored to assist you in this regard. During our annual boiler maintenance and repair services, our experts can troubleshoot your entire HVAC system to identify all issues and problems before they are exacerbated. After our efforts, you can feel confident knowing that your boiler is in the best position to provide for your comfort needs all winter long. In the event that your boiler does fail completely, it is essential for you to know who you can trust to repair it. Our emergency boiler repair professionals are always on call to address any heating emergency. We will respond immediately to you, and once on site, our technicians will work tirelessly until comfort is restored to your home. Even in our emergency boiler repair efforts, our team places quality service and customer satisfaction as our highest priorities. If you need to hire a professionally licensed heating contractor who specializes in boiler repairs in Saugerties, call Precision HVAC today at 845-399-0669, or fill out our online request form.